A lot is expected from Russian figure skaters at the Olympics, with the return of veterans like Evgeny Pluschenko boosting gold medal prospects and a new breed of juniors blossoming just at the right time. Fans love Olympic champion Evgeny Pluschenko, and not only for his international ice-capades. 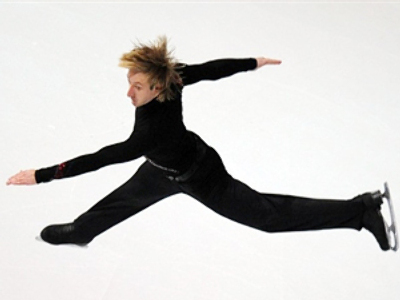 Within the last year he has also become the successful, self-proclaimed savior of Russian male figure skating, returning to the sport after a three year sabbatical following his 2006 Turin gold. Russian figure skating – which has been in the doldrums in his absence – has been buoyed by his return, with records tumbling as soon as the 27-year-old returned to the ice, with the Russian Cup and championship gold. His international comeback will take place at the European Championship in Estonia at the end of January. And he remains the country's biggest hope for Olympic gold in Vancouver. “I had three successful competitions before the Russian championship. And maybe it’s only for the best that I had to overcome an injury to compete here, so that I could start training in fresh and leave all the mistakes behind me and deliver the gold in Vancouver,” Evgeny Pluschenko said. 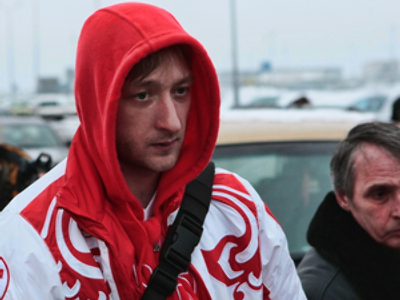 Sergey Voronov is probably the only person with a negative thought about Pluschenko 's return . The Muscovite won the Russian Championship twice in his absence, but is yet to achieve global success. He is on a learning curve, and the 22-year-old represents the country's potential in years to come. Speaking of other young talents, female Russian ice skaters are very much in the spotlight. Newly-crowned Russian champion, Ksenia Makarova, bloomed in 2009 after a top place finish at her first senior competition. The 17-year-old is looking to take the next step in the European championships later this month. That will see her on the way to becoming one of Russia's two ladies’ figure skating representatives chasing Olympic gold in Vancouver. “I am very happy. I am going to go to the Europeans and show my best there, and be in Vancouver if I can,” Ksenia Makarova said. At 19 years old, 2009 world junior champion Alena Leonova has already tasted success and thrown out her challenge to senior skaters. In January she will make her second attempt at the continental championships , in which she finished fourth last year. After winning the silver medal at the Russian nationals, Alena's confidence was certainly strengthened and her Olympic dream came a little bit closer. Of course this is not the entire Russian Olympic figure skating team. At the Vancouver Games the country will be represented by a total of 17 athletes. In singles, two ladies and two men, and in pairs there are three each for ice skating and ice dancing.